Washington wins 3-0 to send the Eastern Conference finals to a deciding game. 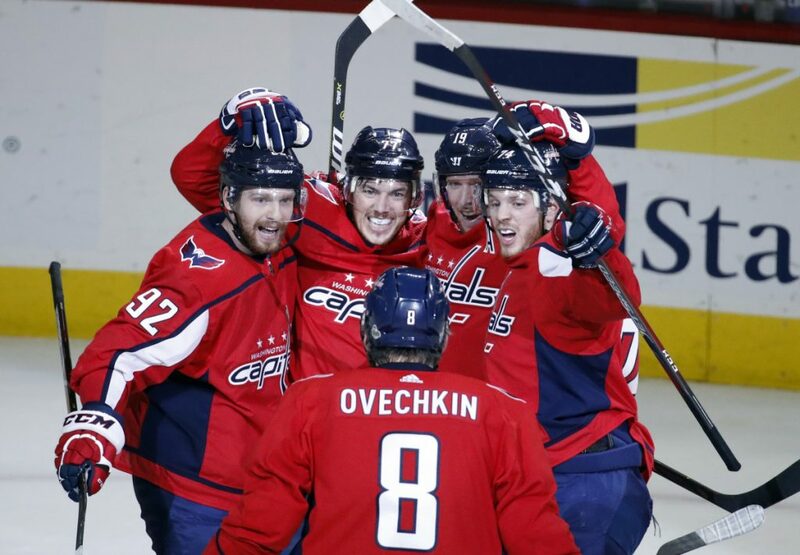 The Capitals improved to 10-2 in the Ovechkin/Backstrom era when facing elimination any time before Game 7. They’re 3-7 in Game 7 over that time. WILD: Paul Fenton was hired as general manager after 20 seasons in the front office with the division rival Nashville Predators. Fenton, 58, spent the last 12 seasons as assistant GM for the Predators. He helped David Poile, the winningest general manager in NHL history, shape the roster that reached the Stanley Cup final last year and won the Presidents’ Trophy with the best regular-season record for 2017-18. Wild owner Craig Leipold, who once owned the Predators, filled the vacancy created last month when he declined to renew Chuck Fletcher’s contract. ISLANDERS: Longtime NHL executive Lou Lamoriello is coming to the New York Islanders, a person with knowledge of the situation confirmed.